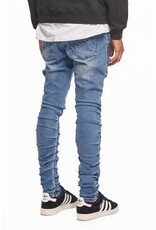 Kuwalla's newest revolutionary stack denim fit without the extra fabric! 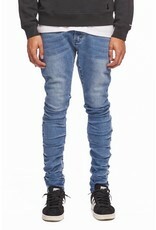 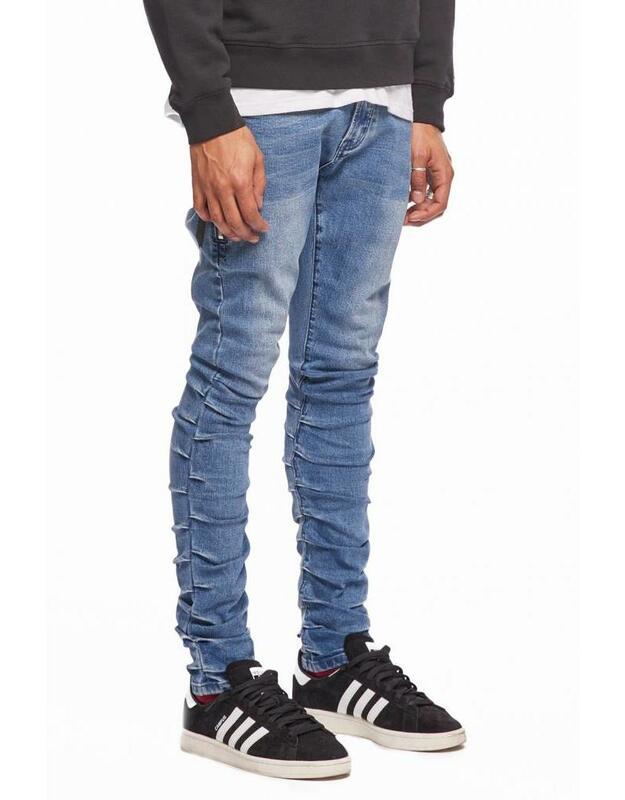 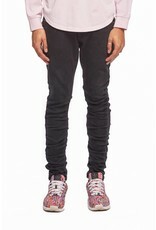 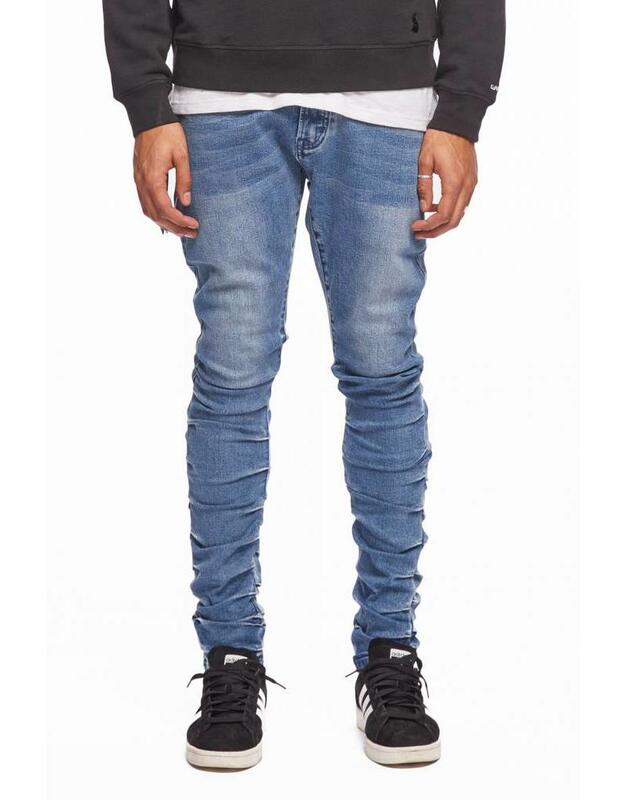 Our stacked denim is constructed of 98% premium cotton & 2% spandex for supreme comfort and flexibility. 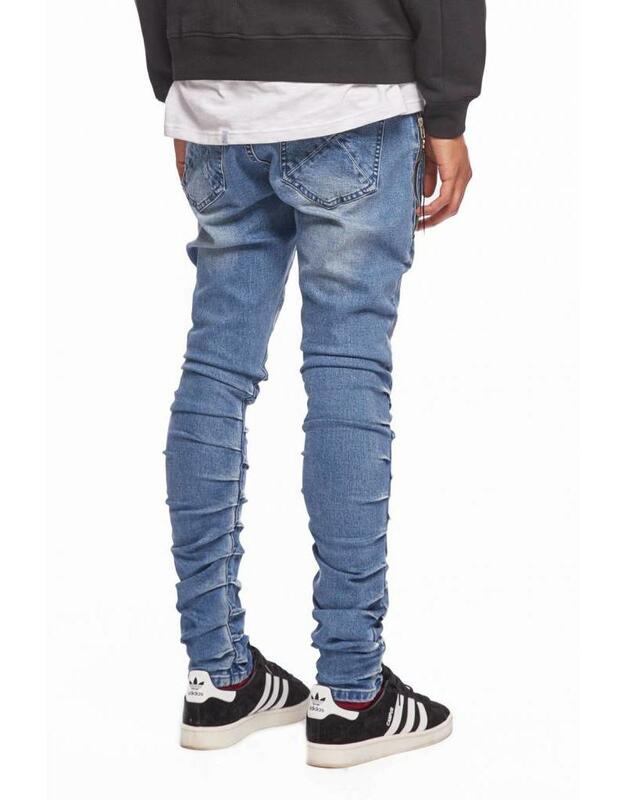 This new body features an extra zipped pocket at waist, w/ puckered stitching on lower calf to give the stack effect. . Low rise waist with skinny leg throughout. 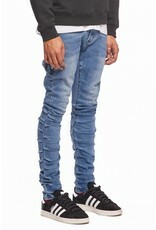 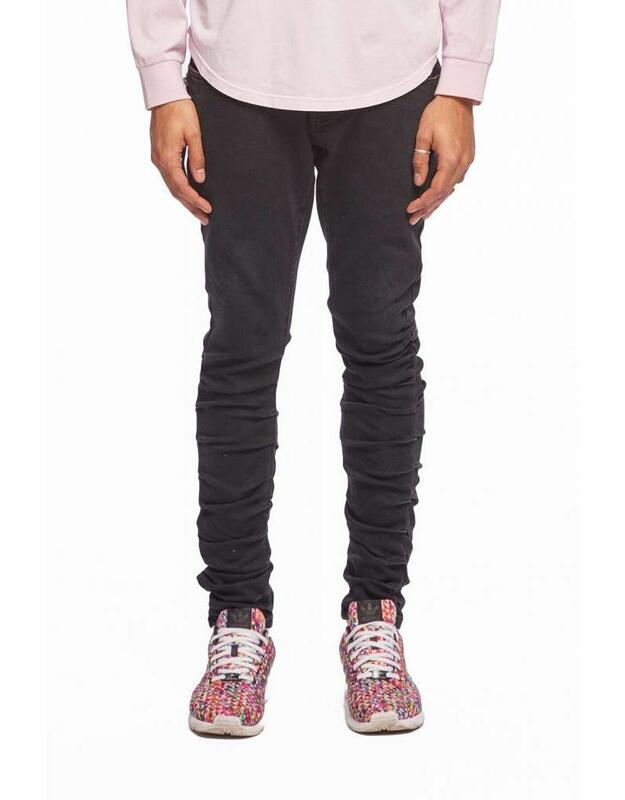 Model is 6'2" 165lbs wearing size 30.